The following resources include both original and curated content intended to educate patients on venous conditions and treatment options. 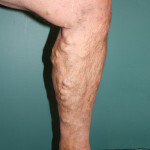 The Vein Center of Northeast Ohio LTD. Copyright © 2018 The Vein Center of Norrheast Ohio LTD. All Rights Reserved. Proudly serving Trumbull, Mahoning, Columbiana, Geauga, and Mercer counties.